Note: This post is the second in a series titled Chengdu Stories wherein we interview local characters who contribute to local culture in the city. 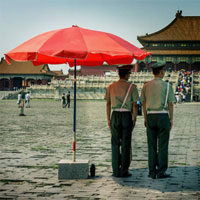 If you haven’t already, check out the first post in this series with Chengdu graffiti artist Gas. Over the last few years I’ve been noticing that I have more and more friends who are picking up martial arts like Muay Thai and Brazilian Jiu Jitsu. 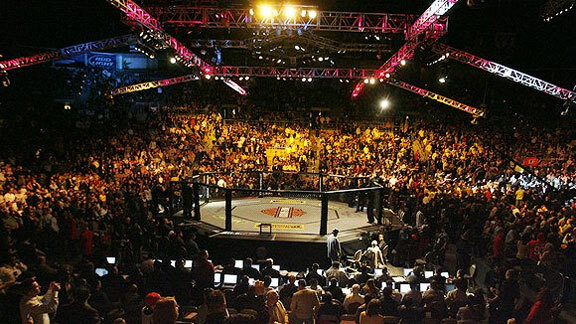 And in case you don’t have friends who’ve caught the MMA (mixed martial arts) bug, the sport has blown to mainstream proportions over the last three years. In developed Western countries, at least. So you can imagine my surprise when I see, outside of Cafe Paname, an advertisement for Brazilian Jiu-Jitsu lessons (hereafter referred to as BJJ, *snicker*). Upon seeing the advertisement I immediately had questions in my head about who would come to Chengdu to practice BJJ and what the local conditions were like. After all, jiu-jitsu, distinguished by its grappling and 1-to-1 on-the-ground wrestling moves, is a far cry from kung fu. Without hesitation, I made a call to Jamie, the friendly Englishman listed on the ad, and scheduled an appointment for a lesson. I visited the centrally-located gym that hosts Jamie’s BJJ sessions (adorned in ancient-looking Kenpo armor, very cool) and came back with answers. And a few bruises on my neck from trying to bear the tear-inducing pain of chokeholds as long as I could manage. Jamie: My name is Jamie Fraser and I come from Devon, which is in the South West of the UK. I train in Brazilian Jiu-Jitsu. Chengdu Living: How would you describe BJJ to those unfamiliar with it? Jamie: Brazilian Jiu Jitsu is a martial art which emphasises ground fighting, and the practical application of leverage and technique to overcome a strength disadvantage. Full contact sparring is essential component of BJJ as the attitude of the Jiu Jitsu practitioners is that the validity of techniques can only be demonstrated through the use of the technique against a fully resisting opponent. There are no punches, kicks, or strikes, things that people typically associate with martial arts. One of the most apt comparisons I have heard for BJJ is that it is a game of chess (except with choking! ), where the combatants start with a full array of options, and each player makes their moves. The aim of the game is to cut down all your opponents options until he is left with only one option left – to submit, otherwise known as to ‘tap out’, or otherwise face the risk of unconsciousness or injury. BJJ has a position before submission attitude, where a safe position (and hence, control) should first be obtained before any submissions are attempted. There is a positional hierarchy, and it is this battle for dominant position which characterises Jiu Jitsu. Chengdu Living: Who do you think BJJ is for? Jamie: Jiu Jitsu is suitable for almost anyone, because In Jiu Jitsu the aim is to create your own style of Jiu Jitsu, moulding the techniques to fit your body type and physical attributes. For children and teenagers, Jiu Jitsu teaches character and confidence, the type of confidence that comes with the knowledge that they can trust their Jiu Jitsu. It will teach them that even when they are in a difficult situation, and under a great deal of pressure, they can still handle the situation and not quit. It is suitable for women, because in a self-defence situation, a woman with a decent guard she would stand a greater chance of being able to defend herself. So If I ever have a daughter I will teach her Jiu Jitsu. If I ever have a son I will do the same. However with the popularity of MMA, it tends to attract males, and they tend to be athletic. But I do not mind who comes, Jiu Jitsu is for everyone who wants it. Chengdu Living: When did you get interested in jiu jitsu and what interested you most about it? Jamie: I like the fact that it is so technical; millimeters, and the distribution of weight can literally make all the difference between a technique working or not against a skilled opponent. I like the fact that you don’t get punched in the head so there is no cumulative brain trauma. I like the fact that Jiu-Jitsu is more a matter of whose mind works faster, than whose body works faster. I like the fact that it is effective. It is really great feeling when you are against someone who is bigger than you, stronger than you, and who is using 100% of their power, and, through the use of techniques taught in Jiu-Jitsu, leave them with no other option but to submit or face being choked out. And then you release the hold, joke around a bit with your partner, and do it again 5 minutes later. A Jiu-Jitsu club is like a sports team, everyone supports everyone else. Chengdu Living: When did you first get involved in martial arts in Chengdu, and what role have you played so far? Jamie: I knew that I couldn’t live in a place where I couldn’t train, so when I came to Chengdu I looked for a BJJ club. I found one, but the teacher was of an extremely low level (he had around 2 months training and it showed) yet he wore a black belt when he taught. I wanted to train the way I had trained back in the UK, and it wouldn’t be appropriate to correct his techniques in front of his students as this would lose him face, so I asked him to let me use the room and teach once a week, he didn’t agree. So anyway I left, I phoned around and found this gym advertised in a local magazine, V (the gym owner’s name) was kind enough to let me use the gym, so I started my own club. V has many other martial arts (such as Aikido, Kendo etc) at his gym so if you are interested in other martial arts you can give him a call: 13018236007. Chengdu Living: Compared to your home country, how would you describe the Chengdu local scene for martial arts? 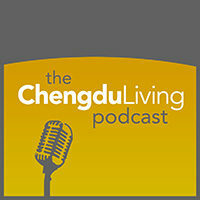 What are the advantages and downsides of practicing in Chengdu? Jamie: The Chengdu martial arts scene is has an abundance of Tai Kwon Do, and other traditional martial arts, some Judo, but not much Sanda and other forms of Gong Fu from what I can see, which surprised me. Ideally I would like to find a good boxing gym or wrestling gym here in Chengdu, but I haven’t found one yet. Unfortunately there are no really high level BJJ guys here, so that means I haven’t progressed as much as I would have had I moved to Beijing or Shanghai, or stayed in the UK. Also, because MMA (Mixed Martial Arts) is not well known here, the BJJ club does not get the advertising benefits that MMA brings. Chengdu Living: Over the last few years BJJ has ascended to near-mainstream along with MMA – how has this affected the art form? Do you see this as a good or bad thing? Jamie: MMA has always been one of the best advertisements of BJJ, indeed the family that created modern day MMA was actually the same family that created BJJ. 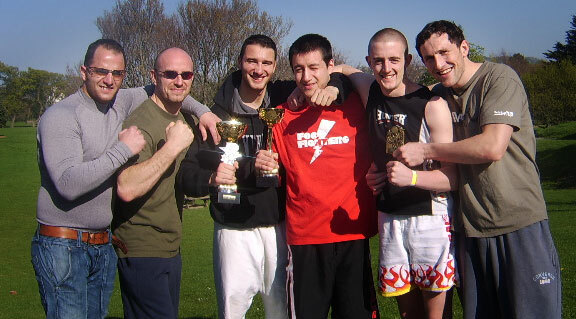 They did this because people didn’t believe a martial art that didn’t have striking could be effective, so they created a ‘no holds barred contest’, invited masters of various styles of martial arts to join (including boxing, karate, wrestling, Ninjitsu, Sumo, etc), and entered one of the physically smaller family members. They did this to show the world that a smaller man could win an open weight free style fight using technique. That was UFC1, there are many videos of it online if people are interested. One of the good influences MMA has on BJJ is that it keeps BJJ from becoming too watered down, I believe that without MMA perhaps some of the more potentially dangerous submissions (like neck cranks, heel hooks ect) could end up being banned, which I believe would be a bad thing. As once you start to remove more and more techniques, and add more and more artificial rules then the art becomes less and less like a fight. Which is what has happened to Judo. The inclusion of wrestling techniques into BJJ is likely to become more important in the future, however this is limited to some extend by the rules in BJJ. This blending of wrestling and Jiu Jitsu is both good and bad, good because it will bring success to those athletes who are competing in MMA, after all what is the point in ground fighting if you can’t take it to the ground. But bad because wrestling is more strength based, and Jiu Jitsu was created for the weak. The fundamentals however will never change; they are fundamentals because they work. World Championships are won using only the most basic moves that are taught in class. Chengdu Living: Where do you see the future of BJJ and other foreign martial arts in Chengdu going? Is anything happening presently to advance the artform here? Jamie: There is the possibility that an established chain of gyms from Beijing could open up their next gym here in Chengdu, so I am going with a friend to Beijing this coming weekend to have a look at their set up. I will also be competing in a tournament while I am there, wish me luck! Chengdu Living: Do you practice with many Chinese, or mostly foreigners? If the audience is mostly foreigners, why do you think this is? Jamie: Before the club was made up of mostly Chinese people, but now it is mostly foreign people. Realistically I expect the club to attract mainly foreigners; there are a couple of reasons for this. First of all, I cannot really explain BJJ that well in Chinese, although thankfully I have a friend who speaks perfect English and Chinese so he can help me in this regard. Secondly, in my experience, when Chinese children grow up, generally physical games and ‘rough and tumble’ is not really encouraged, instead physical education comes mainly in the form of more non-contact movements, where many people will perform the same, organized, predetermined, exercises or routines at the same time. This is not bad or good, it is just the way it is. However BJJ is not like this at all, so it may seem a little culturally foreign. Thirdly, MMA is more popular abroad than in China, and MMA is how most people find out about BJJ. Chengdu Living: Anything else you’d like to add about BJJ in Chengdu? Thanks to Jamie for participating in the interview, teaching me the basics of Jiu-Jitsu, and creating something cool and unique for people to enjoy in Chengdu. You should do that. Maybe we can go on a Sunday and spar with some of the other folks. Good on you for getting choked out in the name of CL, Charlie. Hahah. I don’t really follow MMA but I’ve seen a few matches and it’s pretty entertaining. I was anxious to give it a shot though and see what it’s like. It’s low-impact until you get into the holds, so sparring is really different from muay-thai or striking martial arts. In those you really have to be wearing protective gear since you’re moving so quickly and knees, elbows, and fists can hurt you. I think I’ve been to the gym that you describe with the Kenpo armor – near Tianfu Square, right? I didn’t know there was any BJJ going on there, but I have seen other sparring happen there. I’ve trained in Yong Chun but never anything non-Chinese before. It’s good to have an overview of this though. Yeah, it’s just North of Tianfu Square if I remember correctly. Very central location. I plan to live teach ESL in Chengdu, hopefully Jamie is good to help this asian american brown belt become black! Heh. I plan to spread bjj there too, but i guess someone is one step ahead of me! Hopefully i get accepted.. Hopefully this program wont screw me in the middle of Chengdu.. And hopefully i get to pet a panda! You guys should definitely meet up. I think you would be the big boss around here with a brown belt, though! The BJJ scene here is quite undeveloped but people like Jamie are putting in the work and building something, even though we don’t have the benefit of a cadre of black belts or anything. Im going to Chengdu in the next month and I would like keep on training since the first day I land in China. I will be working and living in the Sheraton Lido Hotel, and I check already and I think Im gonna be quite close of your academy, thats great! Alvaro, I am teaching the club now (not heading, its a group thing). What belt are you? If you are black, you can teach, i dont mind :). Sign up on the forum and find me, private message me your email. We can contact there. Im white belt 4 degree. I just started 1 year and half ago in Roger Gracie academy in London and I keep on trainin in my city Malaga (Spain)! Is the academy far away of the Sheraton Hotel?? Chengdu must be huge and I have no idea of anything. Hey guys, I’ll be doing my masters in Chengdu, at UESTC there starting this September. I’ve been wanting to learn BJJ for months, haven’t got the time. Does anyone know the address of this gym with the BJJ? I just wanna googlemap it to know exactly how far it is from my campus. Hi Ershad, here’s the address in Chinese: 长顺中街98号少城府邸3楼. It’s just north of Tianfu square. Try “98 Changshun Middle Street, Chengdu, Sichuan, China” in google maps. Pretty sure that’s the place. What belt is Jamie? 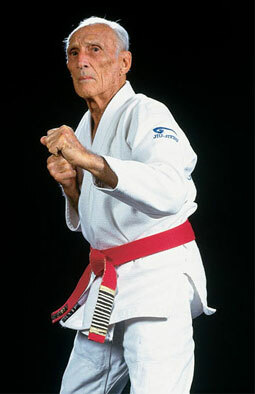 Also, BJJ was found by Count Koma/ Carlos Gracie. White belt. Although when I asked he hadn’t been overseas in several years and said he had progressed well beyond that level, for what it’s worth. When I told my buddy overseas training BJJ about this, the first thing he asked me was what belt the guy had achieved. He scoffed at my answer but Jamie was helpful and forthcoming about the fact that he hasn’t been doing this for a decade or anything. For a total beginner like myself it was a fruitful learning experience. And to me, the fact that he had dedicated himself to making a time and place for people to train and together says a lot. It’s important that someone gets the ball rolling since BJJ as an institution has been non-existant in Chengdu from what I can tell before this. Nice, glad to see that jiu jitsu is being practiced in Chengdu in some shape or form! Are there any other days that the club meets? I want to be able to train more than once per week. Also, where can i get cheap Gi’s? I dont want to bring my GI with me, weighs allot and takes up space in my suit case. Ill buy one when i get there. It seems my flight will reach CD around 12 PM on Sat. This just makes it in time for the club meet on Sund! Hope to meet you guys then! Awesome. I’m publishing a post about Panda Festival today and I have some free tickets to give away, so look out for that. Can anyone post the location and times they are meeting today, for the club? Ill just be arriving and hopefully to be able to train (not sure how long the settling in process will take). yep.this new. 🙂 open in this year. Thanx for the reply, but that was nearly 8 months ago heh. Havent been updating things lately. Thats me in the picture…. Hi, my name is Achmad, I study in chongqing. I practiced BJJ for 1 year before I came in chongqing. Can you give the info about BJJ trainning location in Chengdu? I know Chongqing and Chengdu are far but if I have free time I will go! Is there a BJJ gym in Chongqing? Where are you training? actually i train in indonesia before i came to chongqing.there is no bjj gym in chongqing, that’s why i become desperate to live here. there is MMA club but the trainer is not professional. do you know is there any judo club in chongqing??? Hey Achamad, my name is Sebastian and Im from Chile (Sudamerica). Im now in Chongqing and I will be here until 6 of March. I want do Jiu Jitsu here, but I don´t know where, please if you know anything let me know. 25 hours fitness 11A-1PM sundays. Hi there! I’m going to ChengDu October 1st, i started training bjj a year ago, i’ll live in Chengdu until february 21st. I wanted to know where can i train bjj while staying in Chengdu, if you could give me a phone number or an adress where i could go and train that would be just great! Thanks for now! Keep in touch!